After careful consideration and emphasis on quality rather than quantity, Kane Detective Agency and affiliates was established by veteran Private Detective Kane in 1993. Kane Detective Agency uses both old fashioned work ethic and modern technology to resolve most assignments and enjoys customizing each case to meet the client's specific needs. We are located in Berks County, PA, but can follow any case originating in Pennsylvania to the ends of the earth in order to complete the assignment and bring resolution to the investigation and or security operation. You may contact a licensed Private Detective via phone or text 365 days per year @ 610-326-3000. We can also provide you with a free consultation by email at mpkane411@gmail.com. as well as a complete list of investigative services. as well as a complete list of security services. 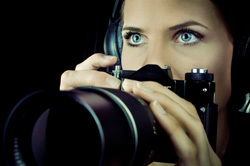 Call our office to speak directly with veteran private detective with a quarter century of diversified experience.